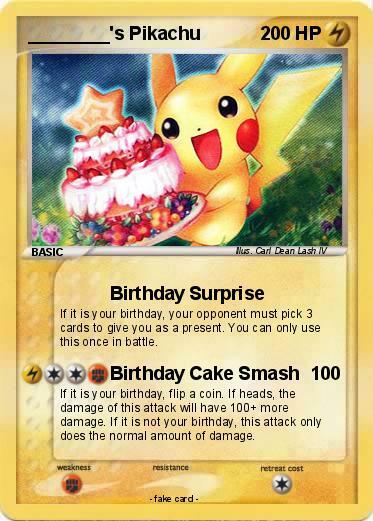 If it is your birthday, your opponent must pick 3 cards to give you as a present. You can only use this once in battle. If it is your birthday, flip a coin. If heads, the damage of this attack will have 100+ more damage. If it is not your birthday, this attack only does the normal amount of damage.